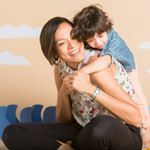 I’m Amanda welcome to our blog capturing what I love to do with my son.Join us on our journey where we explore new arenas, create a whole new world filled with art and color, learn anddiscover together through simple every day things. As a mum I’m sure you are constantly having to run errands, do the laundry, school run or grocery run… the list never ends. I reached a point where I realized i was missing some ‘self-love’ time and that where this section was born. I started this as a way of spending some “me time” and finally making time to do all those Pinterest images I’ve saved and procrastinated on.If you can relate to this than don’t wait any longer to subscribe… and join me as I explore different medium, tools and much more to create something for your home, to wear or something you can use or for kids schools or a party. You don’t have to spend money to keep these little thinkers busy.Join me as I share different ways to entertain them with simple things that will not only develop their skills will also create some memories.